This is an original painting. The size is 23 cm by 30.5 cm. 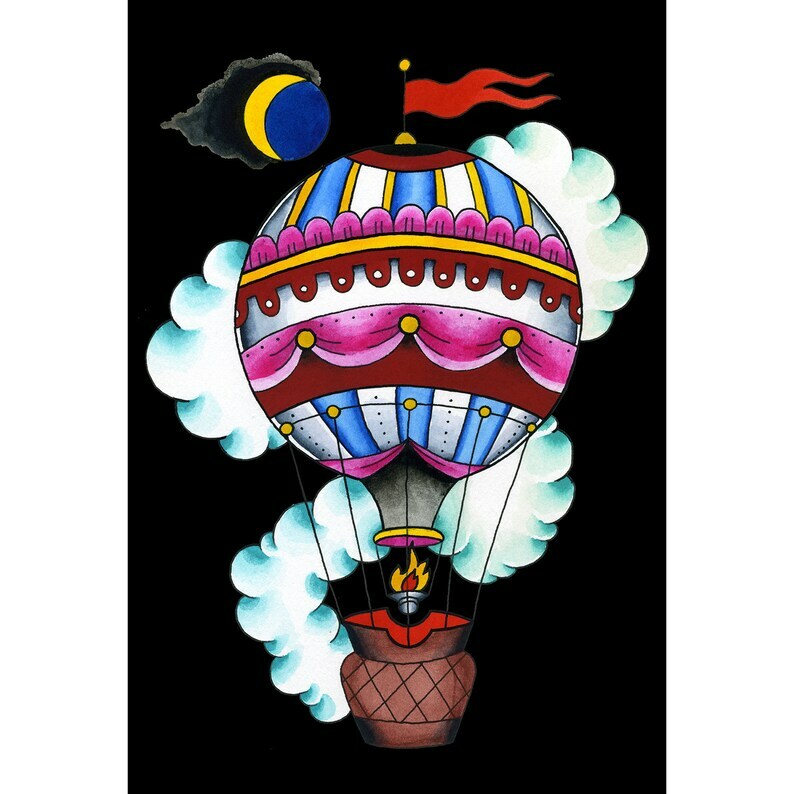 Night balloon for dreams and beautiful voyages. This image symbolises to me floating, mysticism, travel, solitude, silence, no machine (liberty from society's rules), the decoration is really french and that symbolises a lot for me but here I think its the importance of the artistic lifestyle. The cloud is almost like incense smoke, which is carrying one's prayers in a heavenily dirrection. I found online that in dream interpretation, if you dream of a hot air balloon, it means it's time to overcome your depression. Wow! This might be my favorite piece of art ever! I don't know French, but i really like what i see. Lol. Looks great on my wall, adds some international flair. Thank you so much.